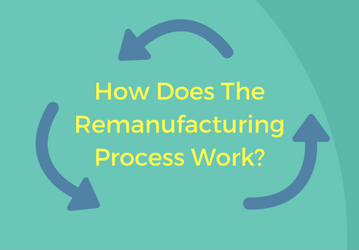 In a previous post, we covered why a remanufactured engine may be a good option for your equipment, but have you ever wondered what’s involved in the remanufacturing process? The Perkins Pacific reman process is trusted by more than 160 original equipment manufacturers and backed by more than 25 years of experience. Read on to learn more. After a core is returned, the reman process begins with complete disassembly and cleaning. In our 110,000-square-foot, state-of-the-art facility, our staff takes the engine apart and cleans each part down to the smallest piece. This allows our expert technicians to inspect each and every part up close for wear and tear, and determine what needs to be replaced. The castings are also magnafluxed to check for cracks and defects. During inspection, our technicians note any parts that appear less-than-new. Those items are then replaced with completely new, genuine Perkins parts. New exhaust and intake seats and guides are installed to maintain proper geometry. Engines are then machined to meet exact OEM specifications. This ensures that the finished engine and equipment will meet the unique requirements of each application. The completed engine is then dyno tested to verify all specs, including recording horsepower and engine parameters though varying loads. A test sheet is supplied to verify that the engine runs as required by the OEM or operator. The finished engine is then mounted on a metal skid and comes with additional necessary parts, such as water pump, injection pump and turbo depending on the model. Each Perkins Pacific reman engine is backed by a one year parts and labor warranty. 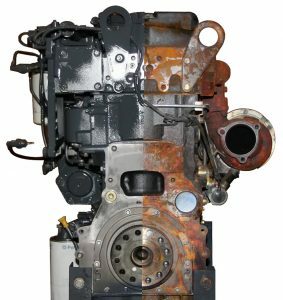 For more information on remanufacturing your Perkins engine, contact our team.